Cheers BelleBarcelone! I often organize routes for visitors, some shopping, some sight seeing and discovering Barcelona’s spirit through its gastronomy. 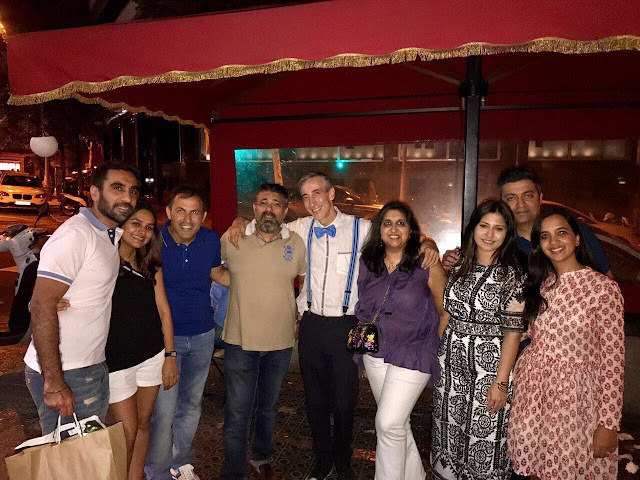 Few weeks back we had guests from HK & India and here are some of the places they went, where they could sample a bit of the wonderful cuisine Barcelona offers. Spanish food is always associated to tapas, snacks and small plates where you can appreciate the diverse flavors of the cuisine in a fun and informal way. Here are my favorite places. 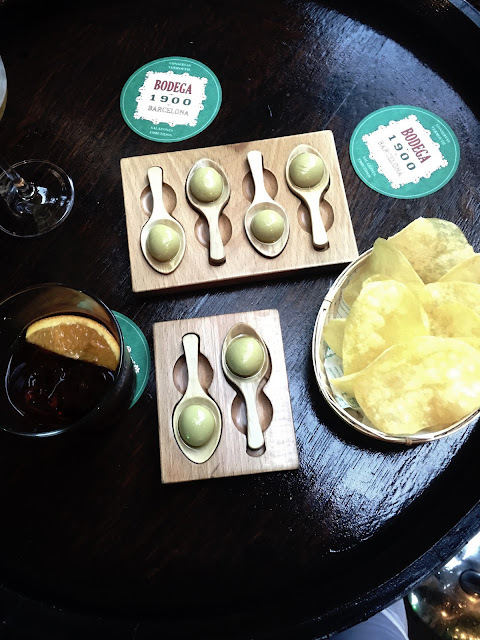 In The same area Bodega 1900, my all time favorite, where the good products meet the haute cuisine to offer you tapas, cold cuts & original small dishes. It is the more informal place of genius chef Albert Adria, where the good service -thanks to the maitre d' Angel and his team- meets the informal yet chic ambiance in this old time looking Vermuteria. In the same area a wonderful Wine Bar, literally a tiny & buzzing place serving the best "Montaditos" in town and great wines and liqueurs. Quimet i Quimet. And of course do not miss the well known bar in the Born: Xampanyet. It is great to go during the day while you are in the area walking and shopping in those original small stores around there. Excellent cold cuts & conserves served with chilled glasses of Xampanyet! My all time favorite in Barcelona! If you want something more quiet but with great tapas and more chilled out, check their next door tapas place: Bodega La Puntual. Want a change from tapas, try the great pizzas at Parking Pizza. Near Plaza Francesc Macia, more quiet than the city center this area is great for shopping and walking around. Just for drinks and walking around check out this cool place. 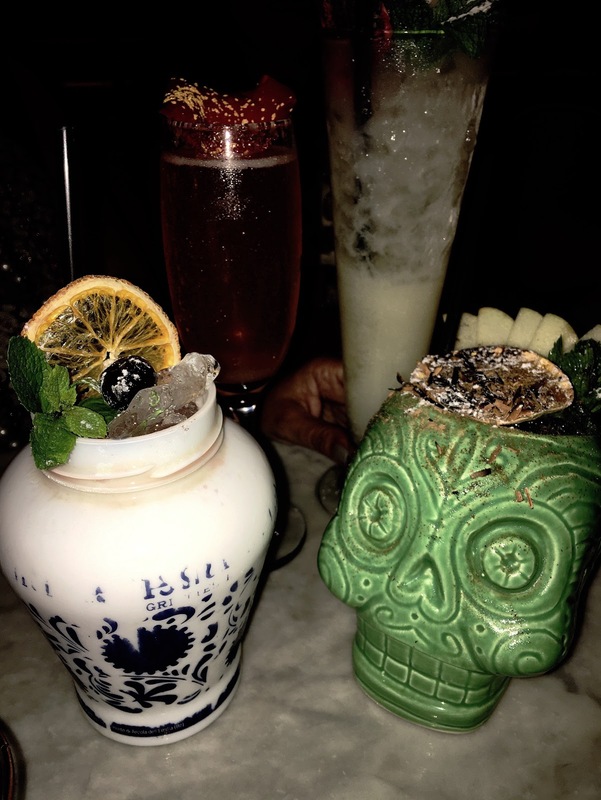 In the Born area don't miss this great clandestine bar , a must with excellent drinks and a wonderful chic atmosphere. Paradiso! Another cool area with little stores in Gracia. Called Verdi and its little lanes are filled with bars and small little stores. 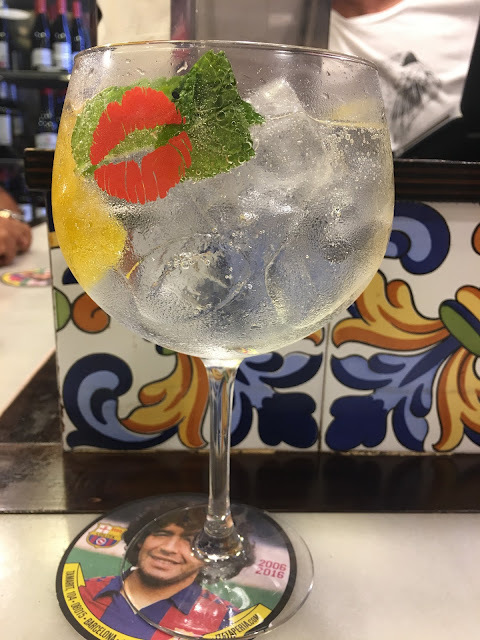 For a stop and the best Gin Tonic in town don't miss Bobby Gin! 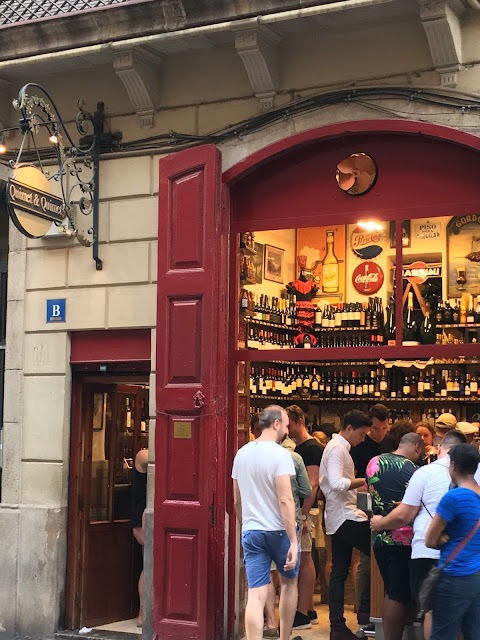 While in the Gracia Area, you can walk to Pau Claris and find this great bar : bar Mut for fine tapas. Opposite you have Entrepanes Diaz with the best sandwiches in town as well as great small plates and more. Great service and ambiance in this tiny place. Gourmet experience at Disfrutar. 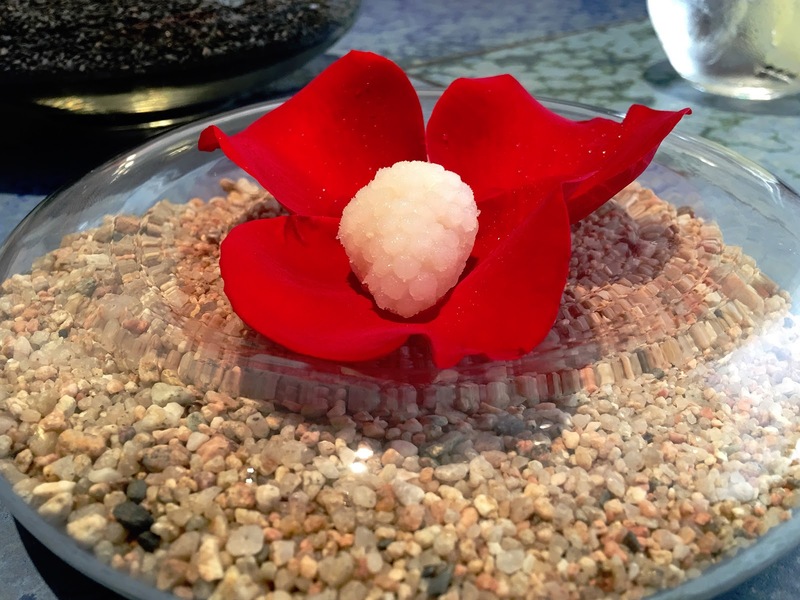 While in Barcelona you need to have a michelin experience. This is the place where some of the best chefs in the world live and get inspired. 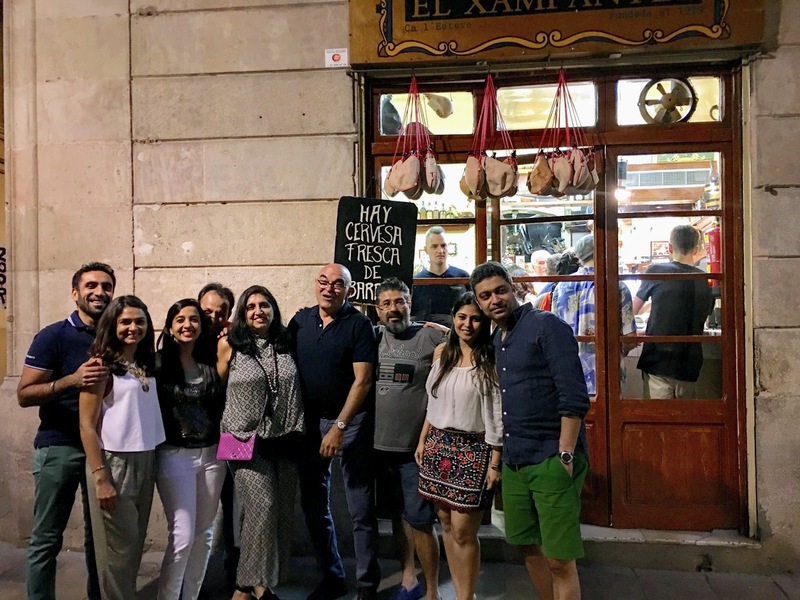 You have various restaurants with great chefs like Albert Adria, Jordi Cruz, Carme Ruscalleda, Raul Balam....all of them are special and you will sample some of the best dishes in the world. I would highly recommend my own personal favorite: Disfrutar. And of course don't miss Paella on the beach and the best Vegetarian Paella in town at Xiringuinto Escriba. In Sunny Barcelona, you can enjoy rooftops for many months and the hotel Omm is an excellent option if their rooftop is open. If not the Roca Bar is excellent and has live music on weekend. The menu is under the advise of the Roca Brothers. Check similar posts on the Route Label such as this one or this one. Follow us on instagram @bellebarcelone!